I now have four sets of dishes. Pretty impressive for a girl who’s just 32. (Okay, almost 33.) Don’t be too impressed; only one set is complete. There is the Pfaltzgraff everyday china we registered for when we got married. Unfortunately, a kitchen cabinet fell off the wall a few years back and shattered 60% of the set. 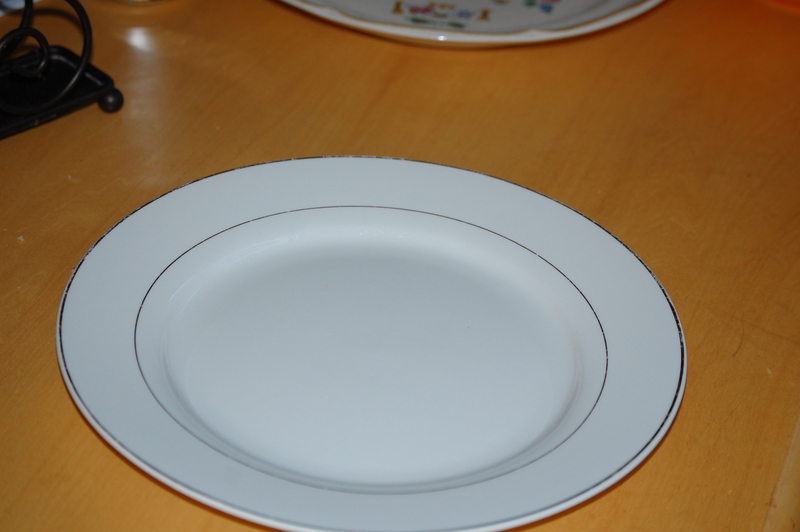 Then there is our fine china – Antique Lace by Mikasa – we have eight complete place settings. I like the delicacy of it, yet the boldness and strength of the gold. I can count the times we’ve used it on one hand. Most of our marriage it has been stored up in boxes since I had no room for it in my cabinets. I have finally been able to dust it all off and stack it on a top shelf. Beautiful, but unloved. My third (and partial) set came from my great-grandmother Knox via my aunt. I barely remember Nanny. I remember the two steps going up to her back door, sitting at her kitchen table. She was tall and lean. Nanny died when I was five or six, and they didn’t let my brother or me go to the funeral, so a friend babysat us at my Nanny’s house. That house then became my Grandmama and Grandaddy’s house, full of laughter and fun. 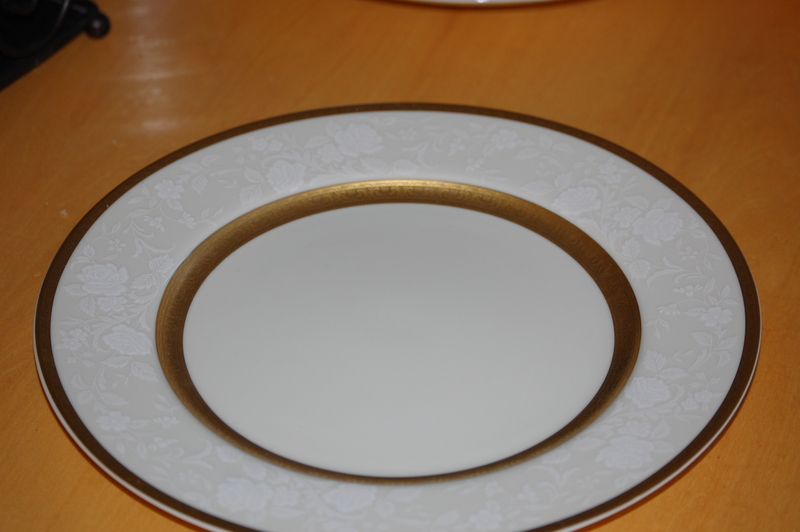 Nanny’s china, white with two gold concentric circles, is worn. Much of the gold has rubbed off, probably from being washed in the dishwasher. A tradition which, God help me, I’ve continued. I suppose I should take better care of her china . . . would it mean I’d be taking better care of her memory? And my last set of china, just received. From my grandmother. My Julia Roberts grandmother, who passed away in December. 12 place settings. Almost complete. A coffee cup seems to be all that’s missing. 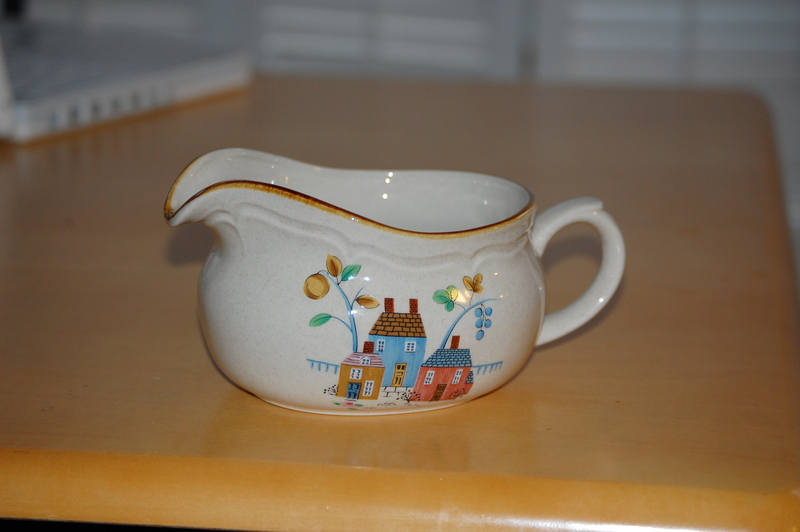 I love this china. Farm animals. Pastels. Whimsy. Comfort. My Undaddy and Julia’s dining room table, these plates piled high with southern deliciousness. how could those trees be weeping? Now I´m ashamed of my plates! It’s okay. 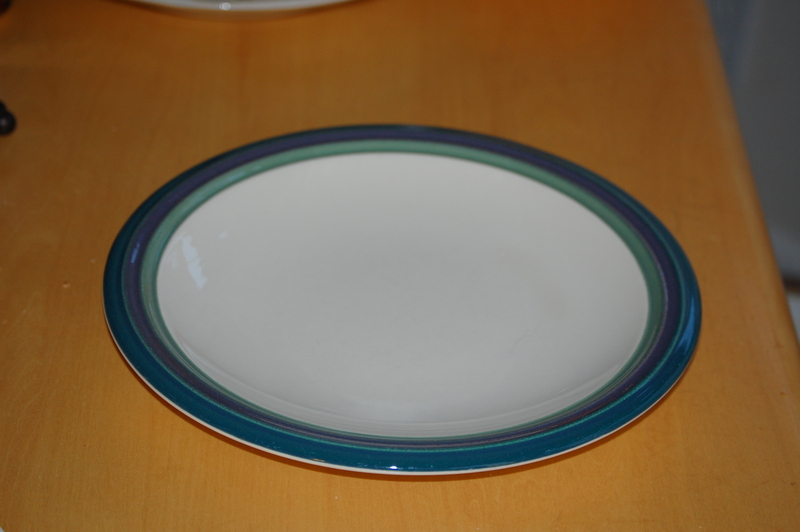 Plates are a tradition with American southern women. Moms pass their dishes down to their kids. It’s all about family, tradition, legacy! What a great, creative post. We can find stories everywhere. Even in our cupboards. i love jane kenyon… ‘otherwise’ is in my top 5 favorite poems of all time. I looked it up – beautiful poem!! The last 3 lines of “Blue Willow” are unbelievable. Awesome. Thanks for sharing! 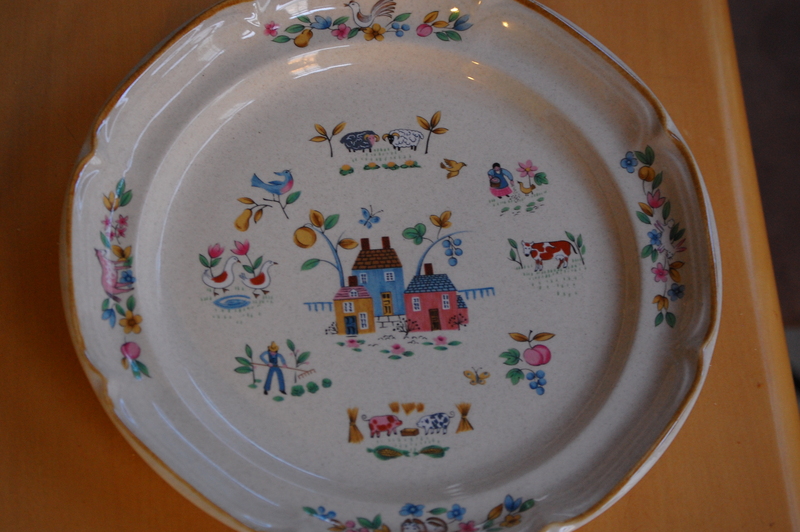 By the way, I like the farm plates the best! I have some similar ones. I also have the Blue Willow set my momma gave me. I agree about the last 3 lines! Love that poem!